Here is a beautiful twist on nature. 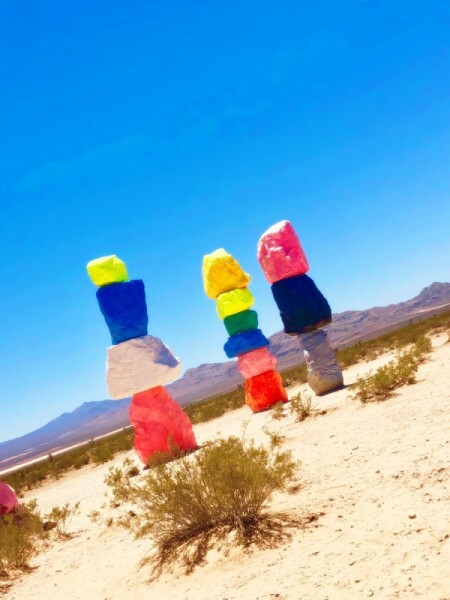 This is a free outdoor exhibit in Nevada called curated by Swiss artist, Ugo Rondinone. This is called Seven Magic Mountains. 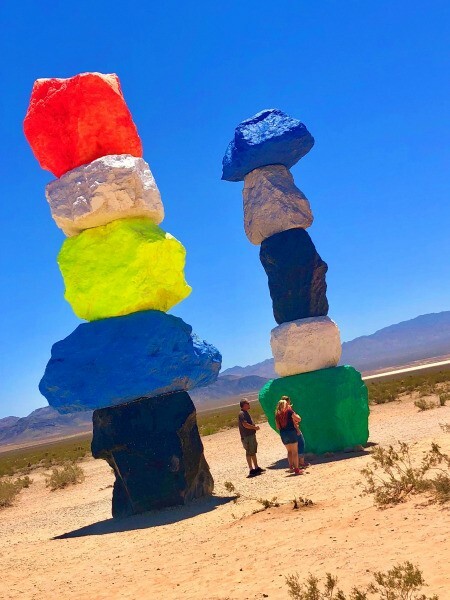 These boulders were locally sourced and painted, then stacked about 35 feet high. The sun does a beautiful number on these colours, making them radiate against the subtle desert background. 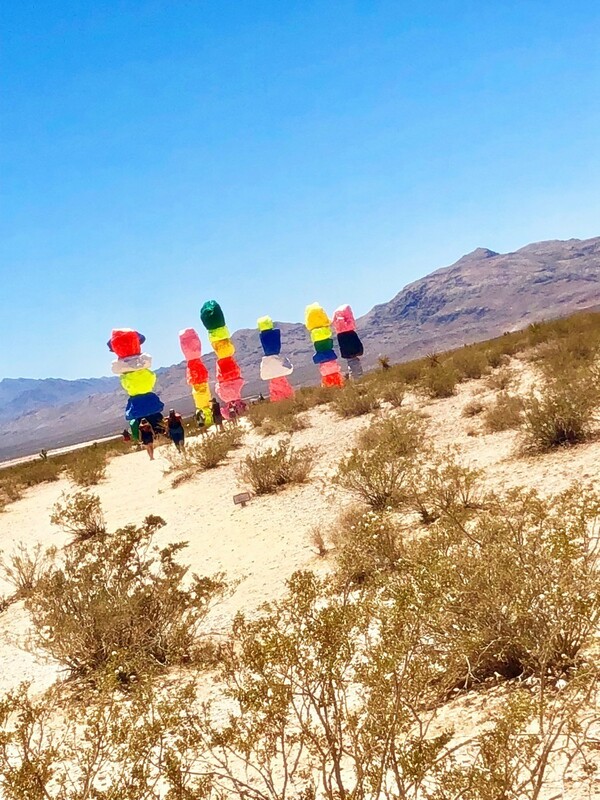 We came here this summer when it was 113 degrees, but boy, was it worth the view.